God of War is easily the next biggest game that Sony is starting to drum up excitement for, returning Kratos to a world and setting that is vastly different to the originally Greek lore of his previous endeavours. 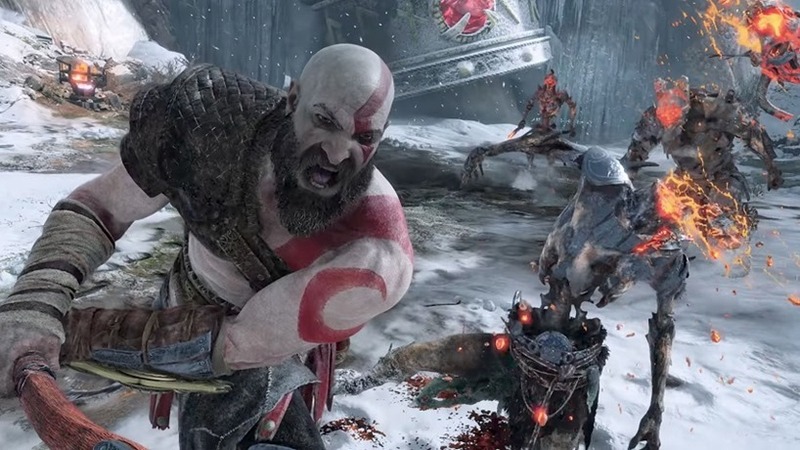 Kratos is a father now too, presenting players with the trials and tribulations of parenthood as they still seek to overcome some truly monstrous creatures. And while the former certainly sounds like the winning hook, you’ll still be using your new magical axe to split the heads of some mythical nasty monsters. Two of which Sony Santa Monica have now detailed. Explaining their places in Norse Mythology, two new trailers introduce you to both the Draugr and Fire Troll. The Draugr can be literally translated to “again walker”, which suggests that the creatures will be some form of the walking dead in this new Norse universe. But unlike the slow, limbering zombies of pop culture, the Draugr have the ability to change their size at will, while also possessing enormous amounts of strength. If regular zombies are this strong in Kratos’ new world, he’s got a real challenge ahead of him. The Fire Troll is far less ambiguous to decipher, but there’s still a lot to marvel at in sheer character design alone. That’s something Sony Santa Monica have really been nailing in their presentation of God of War, bringing loads of colour and variety to a game that still looks utterly smooth and lifelike in motion. The Fire Troll is a large, lumbering beast that will pose an equal challenge to your progress, as you probably saw in the game’s very first trailer. God of War hasn’t had much concrete information in the way of a release date, but Sony is still adamant that the game will launch in early 2018. I’d wager more news on it dropping at both Paris Games Week and PlayStation Experience in the coming weeks.